Simplistic beauty is the Costa Mesa tables trademark. 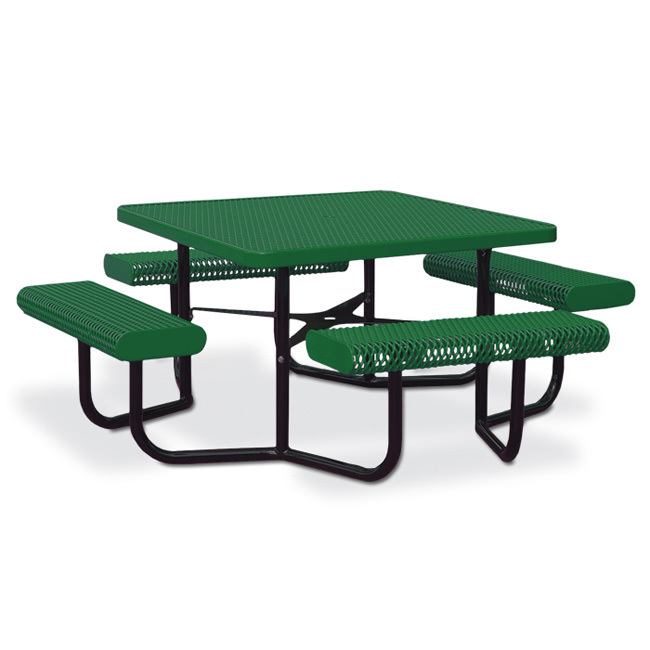 It’s vinyl coated, expanded metal rolled edge top and benches deliver vandal-proof superior performance. Top Size: 46" X 46"